Star Wars and the holidays are built of the same stuff. To see The Force Awakens is like celebrating another holiday right alongside Christmas, Hanukkah, Festivus, Life Day, or whatever you choose to celebrate. All the big holidays that stretch between Thanksgiving and New Years are about coming together. For some that means seeing family, whether they are blood related or beloved friends. Traditions are rituals that connect past with the present and sometimes that involves trekking across the country to gather. Other times that’s packing the theaters at absurd hours to see a new movie. Star Wars: The Force Awakens is much like us, bound by similar familial ties to uphold the family tradition. If all the movies had a family-member equivalent then the original trilogy would be cousins and the prequels their crazy uncle we listen to, but never take seriously. Traditions are powerful stuff, capable of linking generations together. It’s a holiday tradition for some to bring kids along to meet grandparents or introduce them to their extended family. Star Wars hit such a sweet spot for so many people that watching seven movies has become a ritual. Some Star Wars fans are parents themselves and watching the movie with kids is a way of passing along something beloved to them. 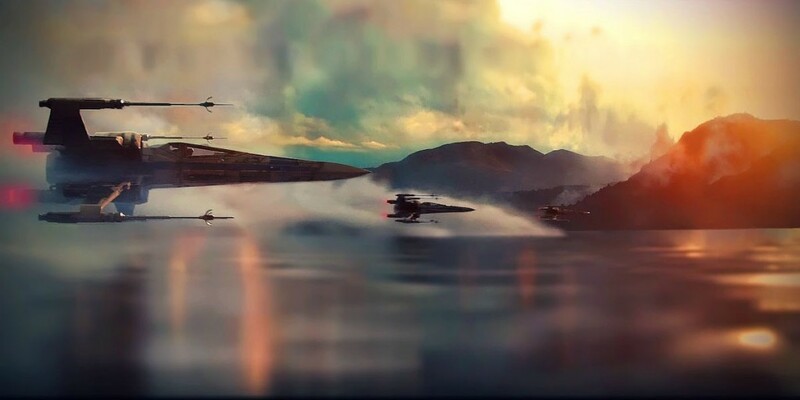 The degree of devotion among fans often varies from simply having watched the movies to obsessing over every shred of news about The Force Awakens in the years since it was announced. The Force Awakens is like welcoming that new family member we’ve all only ever heard about, but never met before till the holiday gathering. The original trilogy movies are all trying to figure out how to fit in with this new thing here while the prequel movies all wave awkwardly, then gather together to reminisce about the good old days. The relationship between all these movies really depends on the fans and how they feel about The Force Awakens in relation to their experience with the prequels and the original trilogy. If aspects of a movie were currency, then Star Wars paid its fans with characters and iconic moments. Han Solo, Luke Skywalker, Princess Leia, Darth Vader and many others are faces of the franchise and their exploits on screen make them beloved. There are far too many iconic moments to count in Star Wars: Luke and Darth Vader hashing out their familial ties, Han frozen in carbonite, Leia playing slave to Jabba the hut, and many others. This is the stuff we latch onto and celebrate with all the toys, costumes, video games, and spinoff series. Star Wars lost some of that cultural currency when the prequels received a poor reception among fans. The movies broke with tradition, delivering none of the iconic characters nor moments that made the original movies great. The prequels definitely fleshed out Star Wars history and answered questions only implied in the original trilogy, but delivered them in a way that was totally disconnected from the other three. The prequels were dense, complicated and filled with lore and political backroom dealings. The iconic characters that showed up in the original series as their older and wiser selves were somehow uninteresting in their younger days. Anakin Skywalker whined a lot, Obi-Wan Kenobi talked a lot, and Padme slowly disappeared from the series even though she is the mother of Luke and Leia. The Force Awakens has the added responsibility to do what the prequels failed to do — become a true successor to the original trilogy. It’s apropos the opening line in the new movie is a quote: “This will begin to make things right again.” This may as well be talking about the franchise as a whole, an indirect apology for Star Wars movies that broke with tradition. The movie itself is an homage to the original series, acquiescing to expectations and familiar story beats to the point of almost being derivative. The call backs are everywhere and come in ways that make it seem like the movie is trying way too hard. The holo-chess scene on the Millennium Falcon was a wink and a nudge. Then there’s the way they compared the Star Killer base and the Death Star, which was more blinking and shoving. All these scenes felt like an apology, delivering iconic moments that mirror their source material. It’s like seeing history repeat itself with different names and faces. Han, Leia, and even Luke appearing briefly are olive branches to fans with their presence acting as a figurative passing of the torch. It’s a rubber stamp from the authors of the iconic moments in the original trilogy. Perhaps tradition limited The Force Awakened somewhat. It was honor bound to make some creative choices that would please its more ardent fans, but being mad about that is like complaining about opening gifts on Christmas or having turkey on Thanksgiving. Star Wars isn’t the only movie to rely on call backs and homages to its history. Just look at Jurassic World or Spectre; those movies are full of them. These moments are for the fans who recognize the reference and feel some ownership over the series and there’s no problem with acknowledging them in some way. Han Solo acting as the emotional center of this movie was a great move. He is like us, a little skeptical of newcomers Finn and Rey before eventually accepting them. Han gives advice to Finn like he’s been through this whole thing before and shows an affection for Rey by offering here a spot on the Millennium Falcon as a member of his crew. These moments are genuine and heartwarming. It’s perfect up until his death at the hands of his son Kylo Ren. On my first viewing, his death lacked the emotional punch it deserved, but it felt appropriate after seeing it again. The movie doesn’t make a huge deal out of his death, but the reactions from Leia and her moment with Rey are a poignant enough acknowledgement of it. The main cast fulfills familiar roles, but it’s diverse and that’s refreshing to have in something as culturally relevant as Star Wars. 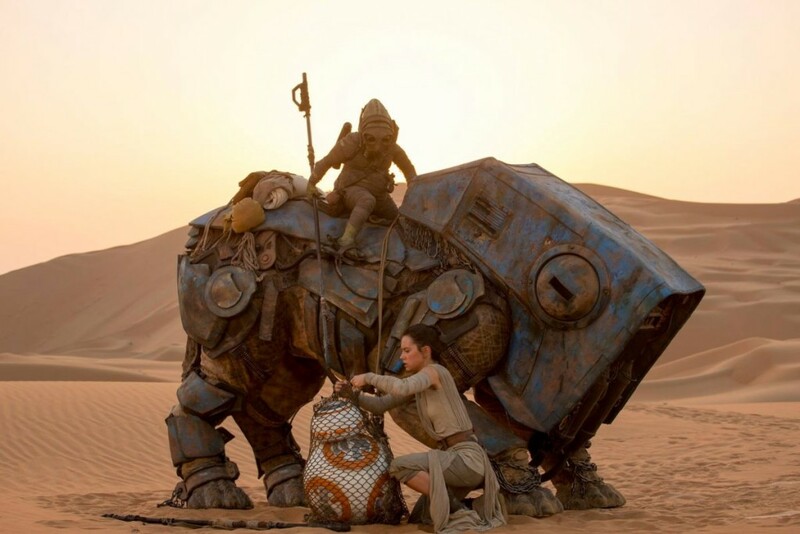 Rey is a woman whose story has shades of Luke Skywalker from her orphaned upbringing on a desert planet to the overarching mystery about who her parents really are. Finn and Poe Damaran are also strong characters that share a bromance in the movie — and surprisingly, given the history of the material, neither of them are white. There wasn’t enough of their banter and wise cracking in the movie and I hope the next one gives them more screen time together. It’s unclear whether Finn and Ray have a budding romantic relationship, but if it is, then we have an unconventional (by Hollywood standards) leading duo. The diversity would mean nothing if the characters weren’t interesting, but they are and the movie keeps the focus on them too. The banter Poe and Finn have as they escape a Star Destroyer in a stolen Tie Fighter would have fit right into one of the original trilogy movies. All the characters, new and old felt like they were friends with each other and they are all people I wouldn’t mind getting to know better in future movies. 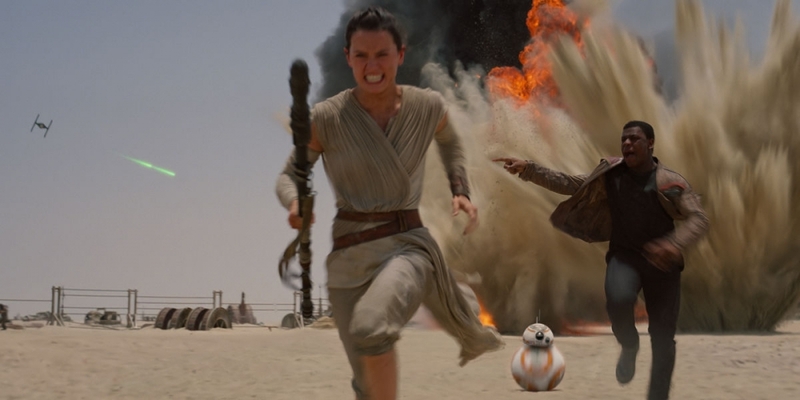 The Force Awakened succeeded because it got the people right. Star Wars once again feels like Star Wars because there are Rey, Finn, Poe and even Kylo Ren to author their own iconic moments in a franchise that has many of them. Christmas is an old tradition that we revisit year after year, honoring the people that kept us together throughout the years. 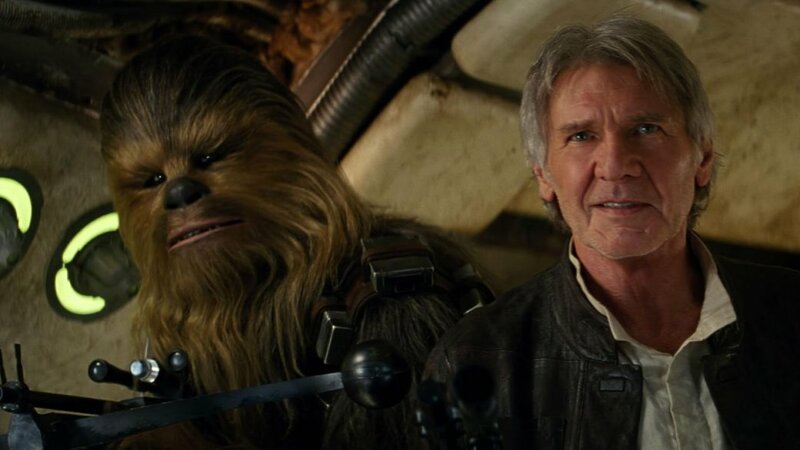 Now that Star Wars has some new faces appropriately christened by the old ones, they can now begin adding some new wrinkles to the Star Wars tradition.